Find the best credit cards from leading issuers by card type and apply securely online. Credit Card Education's monthly list of credit card offers featuring lucrative sign-up bonuses is in. Enjoy a one-time bonus of 20,000 miles once you spend $1,000 on purchases within the first 3 months, equal to $200 in travel. View the complete list. 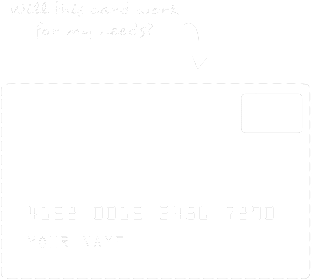 What is the best type of credit card rewards program? It really depends on what you value more. We have found that a majority of consumers prefer cash back rewards programs. However, an equal amount of people have also flocked toward some of the points cards because of their current bonus structures. What credit scores define excellent, good, and bad credit from a lender's perspective? Though it may vary from issuer to issuer the general rule of thumb is that an excellent credit score is 725 or above, good is 650 and above and bad is below 600. In between 600 and 650 is considered fair. A credit card allows you to carry a balance over time. If you elect to carry a balance interest will be charged provided it is not during a 0% introductory period. With a charge card you are required to pay your balance in full at the end of every billing cycle. For someone like a stay-at-home parent who doesn’t work outside of the home and have their own income, it can be difficult to build a credit history, because most credit card companies won’t issue a credit card to someone who doesn’t have their own income. * Important Disclaimer: See the online credit card applications for complete details about terms and conditions. Reasonable efforts are made to maintain accurate information. However all credit card information is presented without warranty. When you click on the “Apply Now” button, you can review the credit card terms and conditions on the issuing company’s website. Advertising Disclosure: CreditCardEducation.com is an independent, advertising-supported comparison service. The owner of the this website may be compensated in exchange for featured placement of certain sponsored products and services, or your clicking on links posted on this website.